Lightning-bug-loving Maude wants to be a member of the Bug-of-the-Month Club in her new neighborhood, and decides that her entrance speech will be about fireflies. She reads, she researches, she prepares, and she delivers a speech that all the club members love―except for hard-to-please Louise. Louise won't even let Maude in the club! So Maude vows to really let Louise have it for being so rude. But when she does, it's not in the way anyone expects. Bug Off! 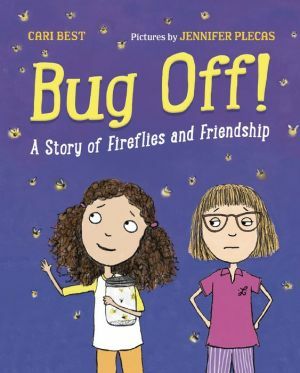 is a sparkly story about friendship, kindness, and inclusion―packed with info about fireflies, too!